7th Century Ireland, and Sister Fidelma –religieuse, advocate of the law and sister to the king of Cashel – is sent to the settlement of Gleann Geis, situated in a near-inaccessible valley to discuss with the chieftain, Laisre, the establishment of a Christian church and school in his territory, which has long been set in its druidic ways. On the way, Fidelma and her associate, Brother Eadulf, happen across the aftermath of what appears to be a pagan sacrifice – thirty three young men, killed in the manner of the Threefold Death, namely stabbed, garrotted and bludgeoned to death, their bodies arranged in a symbolic way. Is the resistance to the introduction to the new faith really that extreme, or is there something else behind the sacrifices? As Fidelma arrives at Gleann Geis, it seems that there is hostility to her mission and her very presence is everywhere. But when more death occurs, Fidelma is in no position to investigate… as the finger of suspicion is pointing directly at her. 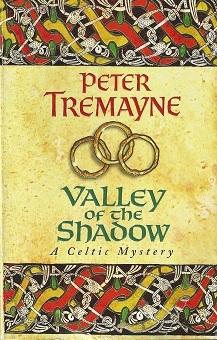 This is the sixth novel in the Sister Fidelma series by Peter Tremayne – thus far, we’ve had five varying from excellent to… well, very good. I’ve highly recommended all of them so far, both as historical novels and as mysteries. Can it be six out of six? A slightly guarded yes. Why slightly guarded? Because fool that I am, I had doubts while reading this book. You see, the first half or so of the book spends a fair bit of time on the religious and legal debates, which, to be fair, I found very interesting. As someone who is gaining more and more of an interest in the Middle Ages – thanks to you-know-who, primarily – the reminder of other civilisations from other times is important and I would recommend to anyone to find out about this part of Irish history. At a time when your average man in the street would assume people were hitting each other with rocks and pointed sticks, to discover the culture, both religious and legal, that was set in place is rather breathtaking. So, what’s wrong with that? 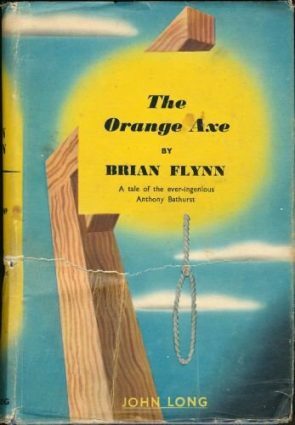 Nothing, but when the prologue, concerning the sacrifice, seems to point the finger at the culprit quite directly, I had a funny feeling that Tremayne had decided to abandon the style of the previous books and go for a thriller instead. We’ve all read books with the word “MYSTERY” on the cover only to discover that, for the reader at least, it’s no such thing. But I should have known better. Moreso that any other writer of historical mysteries, Tremayne channels the traditional mystery set-up. Everything is clued, the mystery is multi-layered and complex and, as I’ve said before, it always ends with Fidelma gathering the suspects together to give them a lecture that goes round the houses before getting to the point. And in many ways, I think this is one of his strongest mysteries. Usually I’ve spotted the killer and motive in his books – not because they were that obvious, but he plays fair and isn’t too tortuous with his logic – but I was blindsided by most of what happened here. With multiple wrongdoings and more than one guilty party, I’d be impressed at anyone who can put it all together. But where would be the fun if the author didn’t play at least one trick on you? These books sound very interesting. (I read some of your earlier reviews for the series too.) I have thought about reading them, but I may have to clear out some space on my TBR bookshelves before I add them. Congratulations, TracyK, on being the first person to comment on ANY of my Peter Tremayne reviews – I was beginning to think they were invisible. Of the ones I’ve read so far, I think the best is Suffer Little Children, but any of them is definitely worth your time. Your reviews are the reason I am hooked on Peter Tremayne (as well as Paul Doherty). I was very impressed with the first three in this series and am currently reading “A Subtle Serpent”. 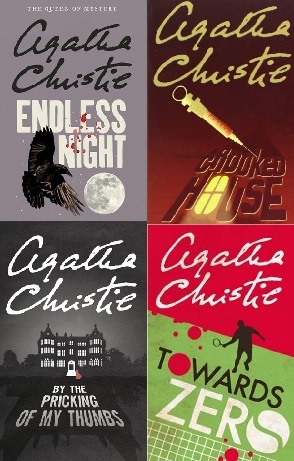 The mystery aspect wasn’t so strong in the first two books, but “Suffer Little Children” definitely rectified that. I hope that pattern continues as I read the rest of the books. I was not a fan of historical mysteries until I was introduced to these two authors. Thanks for getting me hooked!